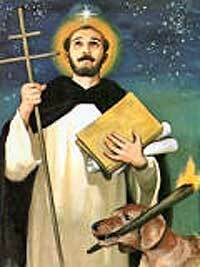 Today we celebrate the memorial of the Hound of the Hounds – Saint Dominic de Guzman. Why is he the Hound of the Hounds? As legend states it, while pregnant with Dominic, his mother had a dream that a dog came from her womb with a flaming torch in its mouth. She understood the dream as referring to her son Dominic, who would light the world on fire with the Gospel message of Jesus Christ. If you take this legend to be true, then it makes perfect sense because Saint Dominic and his rag-tag order of preachers most certainly set the world on fire. The fire began in the thirteenth century and it still burns to this day. Saint Dominic was born sometime around the year 1170 in the region of Calaroga in Old Castillo, Spain. Not much is known about his father, but his mother, Joan of Aza is a Blessed of the Church. When he was fourteen years old, he was sent to school in Valencia, but quickly transferred to school in Salamanca. After completing his formal education, he was received and ordained into the Regular Canons of St. Augustine in the Diocese of Osma. In 1204, he became prior of the order. In the same year, the King of Castile, Alphonsus IX, asked the Bishop of Osma, Diego de Azevedo, to travel with him to arrange a marriage for his son in Denmark. The Bishop, a close friend of St. Dominic, asked him to come along. While traveling to Denmark, they stopped off in the province of Languedoc, France. On their return trip, they stopped off in Citeaux, France. It was at both of these places that St. Dominic first became acquainted with the Albigensian heresy. The Albigensians believed in two gods. One god was good while the other god was evil. One god controlled the spirit while the other god was in control of the flesh. They thought that the evil god was in control of the world; therefore the whole world was evil. They stem from an Early Church heresy known as Manichaeism. Although it was not completely destroyed, St. Augustine of Hippo put an end to their dominance in the 4th century. Both heresies were very anti-Catholic and had a great contempt for the clergy of the Church. After they returned from France, the Bishop of Osma and St. Dominic quickly went to Rome to ask permission from Pope Innocent III to preach the Gospel to the Albigensian heretics. They began their mission with great passion and zeal. In the year 1206, on the feast day of St. Mary Magdalene, St. Dominic founded a convent of nuns at Prouille. This convent provided education for children and became the core group for the Order of Dominican nuns. 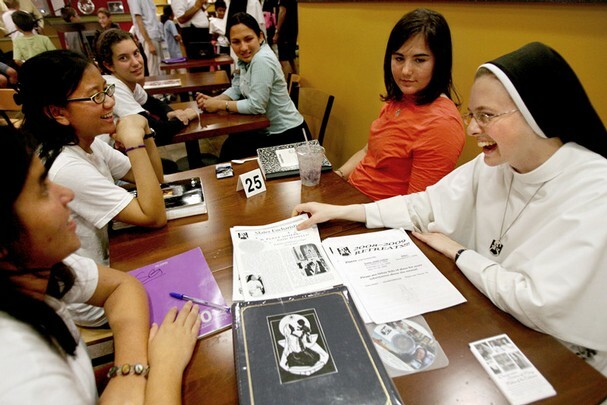 Education is still a primary apostolate for the Dominicans today. Eventually the Bishop would leave his companion in France and St. Dominic would take over as the leader of the mission. With a small group of preachers and still wearing the habit of the Canons of St. Augustine, St. Dominic preached with great fervor in the missions of Languedoc for nearly ten years. They had some effect on the lower ranks of the heretics, but they could not change the minds of the leaders. 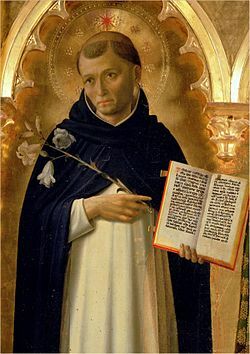 Feeling that he was being called by Heaven, in the year 1214, St. Dominic began gathering men, not like monks or priests, but men that had an apostolic zeal to unite the contemplative life with the life of sacred and rigorous study. They focused heavily on preaching through the pastoral life and were men of poverty. In the early months of 1216, Pope Innocent III gave approval for the Dominican convent in Prouille and he gave a contingent approval on the Order of Preachers. During this time, St. Dominic worked to finish his first friary at Toulouse at the church of St. Martin. In October 1216, Pope Honorius III (Innocent III died) received St. Dominic and confirmed his order and its constitutions based on the Rule of St. Augustine. On August 13, 1217, St. Dominic met with his Friar Preachers and instructed them on how they were to preach. On the feast of the Assumption, St. Dominic released his Hounds of the Lord into the world, for heresy was on the rise yet again. St. Dominic returned to Rome and was given the church of St. Sixtus II (San Sisto Vecchio) by Pope Honorius III. He preached so passionately on theology, the whole city of Rome began to take notice. St. Dominic would be the first Master of the Sacred Place (Pope’s domestic theologian) because of his excellent preaching skills. While in Rome, and with the help of the Holy Father, he established a friary with the church of St. Sabina. At the same time, two establishments that would become Dominican strongholds for centuries were underway – the University of Bologna and the University of Paris. During the years of 1218-1219, St. Dominic traveled throughout Spain, France, and Italy establishing friaries throughout. He settled in Bologna and would remain there until his death. In 1220, Pope Honorius confirmed St. Dominic as the Master General of the Dominican Order. On Pentecost Sunday, the first general chapter of the order convened in Bologna. One year later, there were sixty friaries divided into eight provinces. The Order of Preachers (O.P.) had been to Canterbury, Oxford, London, Poland, Scandinavia, and as far away as Palestine. The Hounds of the Lord had begun to set the world on fire! Shortly after the second general chapter and knowing that his death was near, St. Dominic gathered his brothers around him. He said to them, “Do not weep, for I shall be more useful to you after my death and I shall help you then more effectively than during my life.” He was buried in Bologna so that he was “under the feet of his brethren.” On August 6, 1221, around the age of fifty-two, St. Dominic, the Hound of the Hounds, entered into Heavenly glory. Thanks Maria! Glad you like my blog. Hope you can share it with others. Many, many years ago, a priest told me that the Dominicans really took their name from a corruption of “Domini Canes”, which he, as a Franciscan, translated as “God’s Dogs”. I’d never heard the story about St. Dominic’s mother’s dream before this great post, although I knew quite a bit about the history of St. Dominic and the order. Thanks for enlightening me. Declan – The name you were told by the Franciscan has some legs to it as well. It has been said that name derived from some of the Dominicans themselves, however, it was more of pun than anything else. I always heard the story that I wrote about in the post. I am glad you enjoyed it. 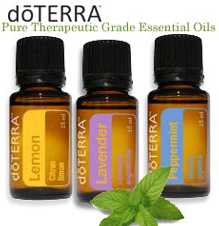 Hope you will continue to read my blog and share it with others. In Christ through Mary! The Rosary–It was revealed to St. Dominic by the Blessed Mother and begun in the fifteenth century by Alen de Rupe, a Dominican preacher. Our Lady appeared to the 3 children at Lourdes in 18 century and it was about the Rosary again. So marvellous. I do believe and pray the Roasary as much as possible, hope those reading this if you don’t say the Rosary on a regular basis please make a little extra effort to say it more often. Where can I buy a poster of St. Dominic and his dog (The Hound of Hounds) as shown on the top of this web page? I don’t know, Robert. I found that picture online 4 years ago. “Dominic and Benedict” was the title of the first book I read independently when I was seven or eight years old – It was about a boy and his dog; the aliteration resonates with me to this day. It was an epiphany, deep-down in my childhood that’s marked my life out as a grown-up in the autumn of my years now without re-discovering the book that’s influenced my life from such an early age. 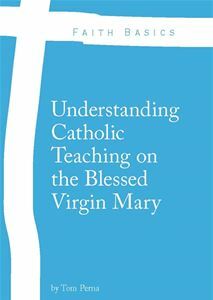 Has anybody read or know of the book: “Dominic and Benedict”?